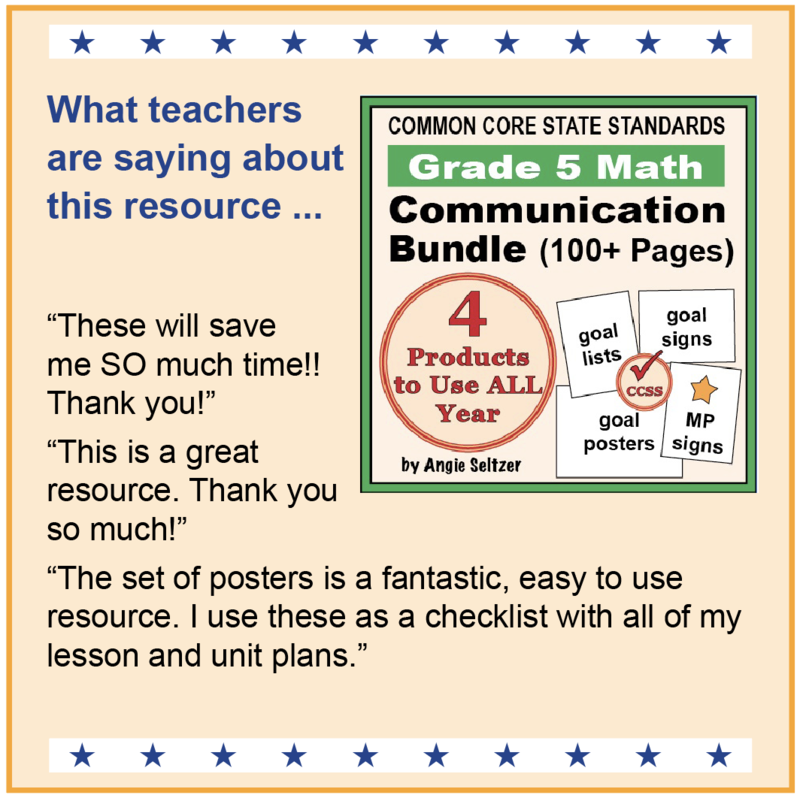 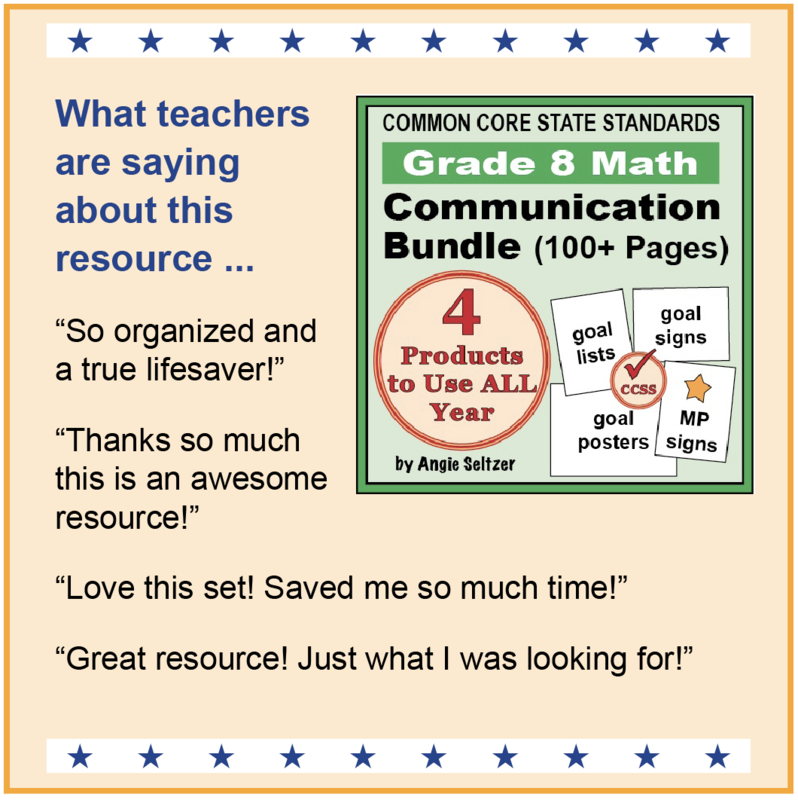 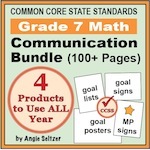 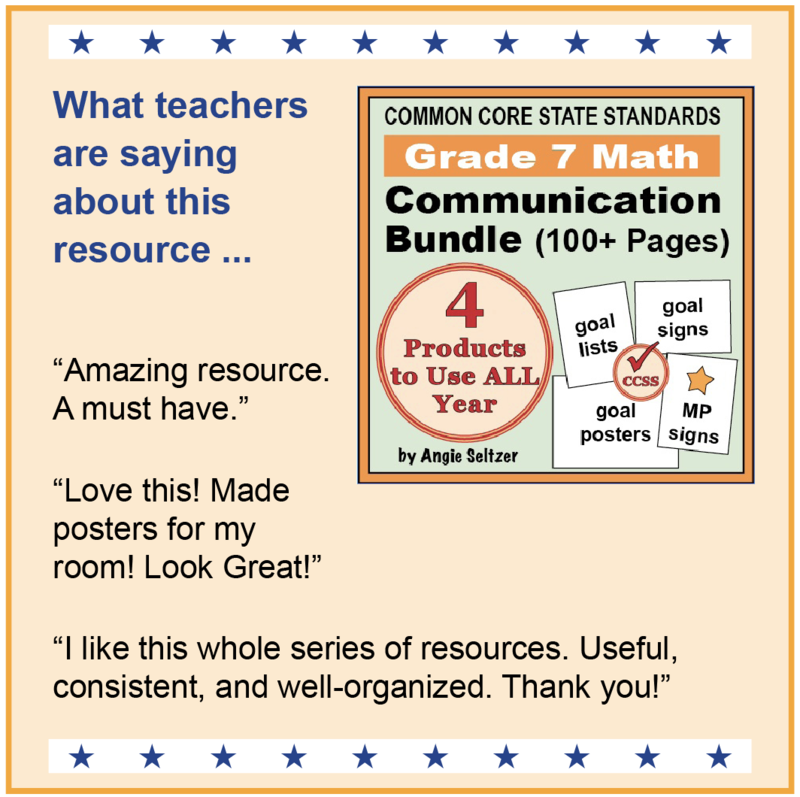 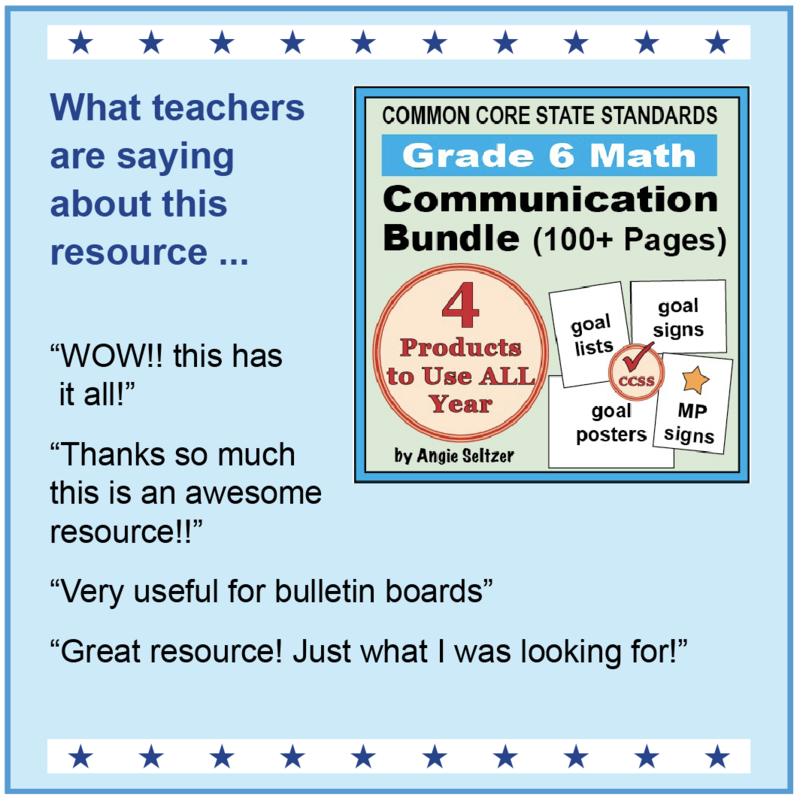 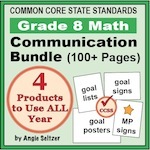 Communicate the math goals using FREE goal leaflets on the FREEBIES page. 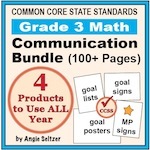 The same goals are available as posters, signs, and checklists. 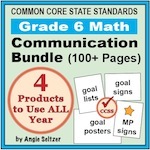 View Communication Bundles or Individual Resources in Your Favorite Store. 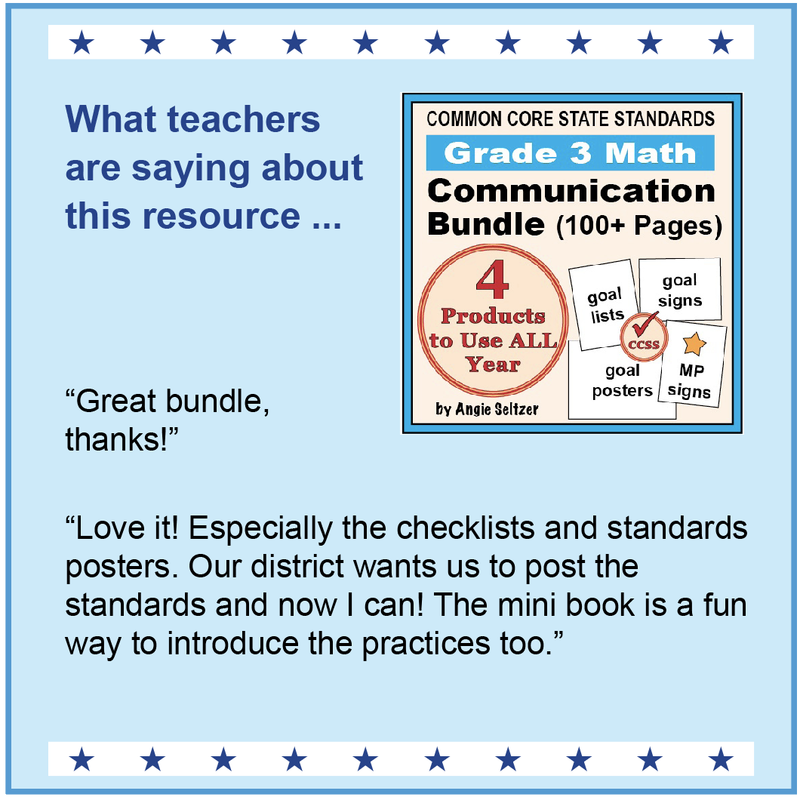 Click an image to view comments from teachers. 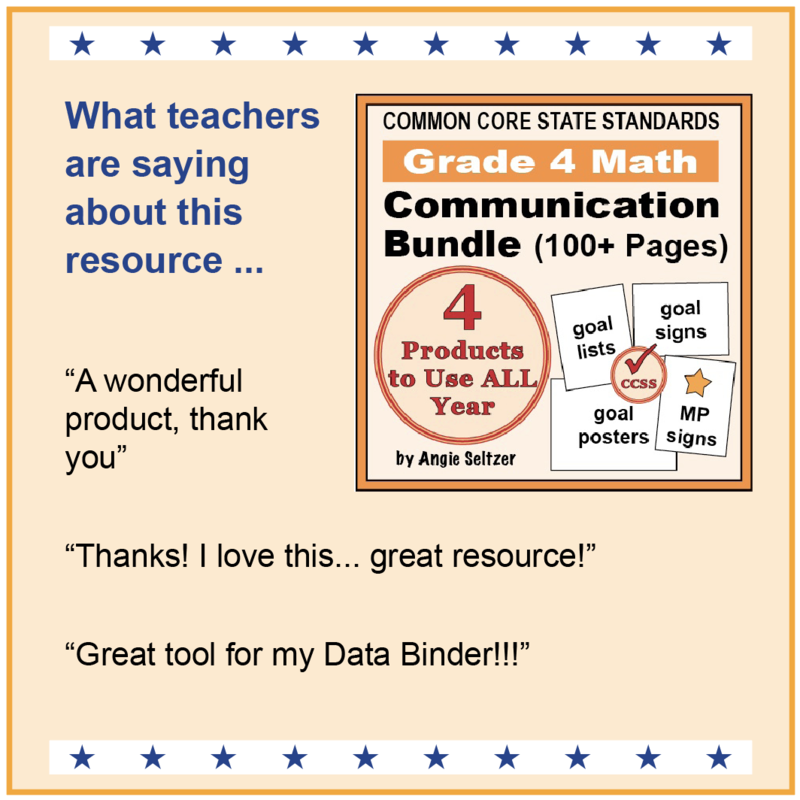 Then click a button to visit an online store.